In a few kilometers we reach the border of Greece. 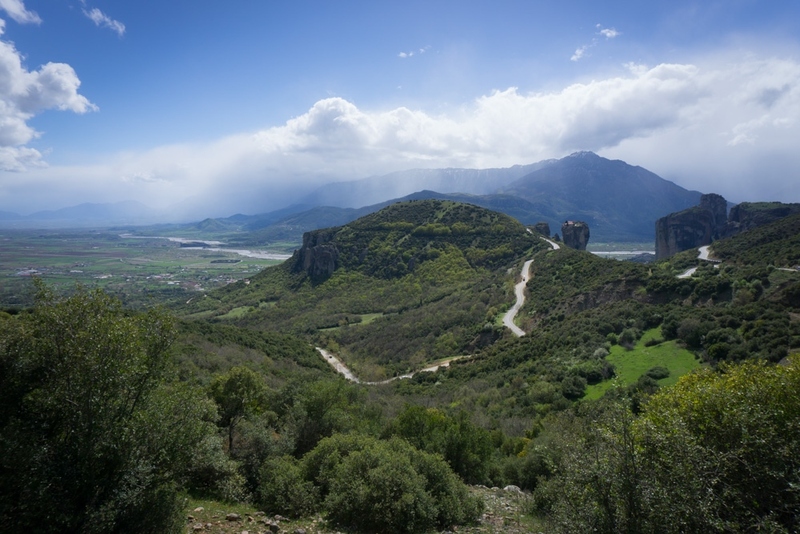 However, we don’t really want to leave beautiful Albania.. We pass by a sheep herd and two dogs charge directly at us. When we get off the bicycles one dog gives up, but the other one comes very close. We stand between our bikes and when we want to start walking he almost bites my front pannier. It looks like there’s no way out of this. Luckily I see the shepherd coming to help us, with an ax and some stones he scares the dog away. Now we have even less desire to cycle in Greece. We have read many blogs about bad experiences with (stray) dogs in Greece. When we cross the border we arm ourselves with sticks. The first days we are not really comfortable and we think that behind every bush a big dog will attack us. But nothing happens. We find out that the stray dogs don’t cause any problems. We easily scare them away with a shout and a throwing gesture. If we see a sheep herd in the distance, we just wait until they have passed. Even though we are cycling into the EU again, life in rural areas is still very basic. Along main roads we see a lot of vacant businesses. Also in Athens we see many homeless people searching in garbage containers. The economic crisis is far from over here. The north and middle of Greece is very quiet. Wide asphalt roads and almost no traffic. 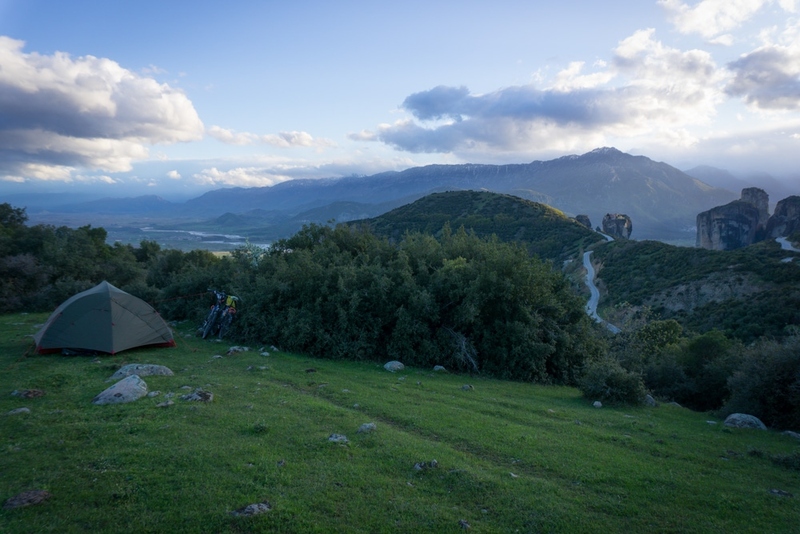 We find the most beautiful camping spots, on a mountain with views over Meteora, along rivers and between the fields in the countryside. 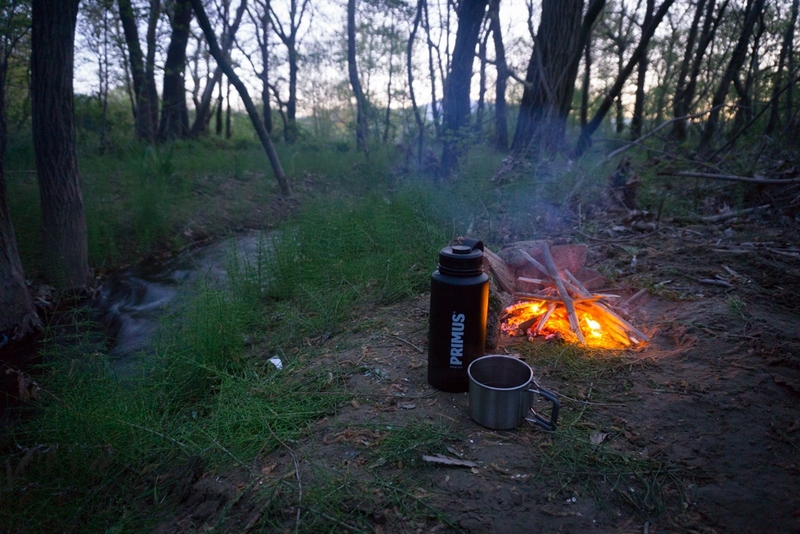 We wash ourselves in the cold river, filter the water and sometimes we make a fire. The solar panel on the back of the bicycle charges our batteries. It’s wonderful to be live more independently. The peace and quiet on the roads and the perfect cycling weather makes everything more comfortable. 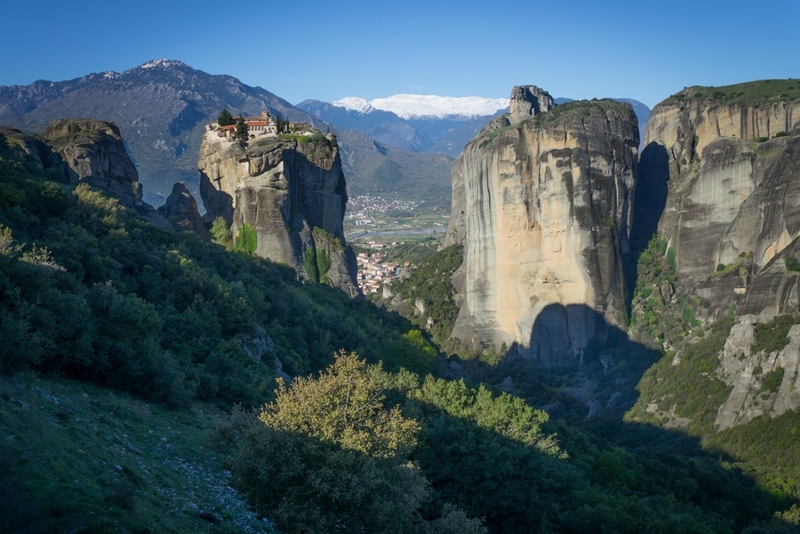 The mountain pass leading to Meteora is blocked by a big landslide. There is also a lot of snow on the top. Beside the pass, the only road is a highway and we can’t cycle on this one. We can take the bus which is about 30 euros or we can try to hitchhike. We have enough time after all.. On the map we see a gas station along the highway and that seems like a strategic place to try. Once arrived at the gas station we see that it isn’t linked to the highway and the employees give us little chance.. But they direct us to a better place to try. When we are at the exit for about five minutes with our (Kalabaka, pleaso) sign, we see that not many cars are taking the right exit. And we also have to find a van or truck that fits our bicycles.. Lynn decides to ask around, because there are two trucks standing opposite of the road. Within a few minutes we are in a big trailer and we are going over the highway at great speed. 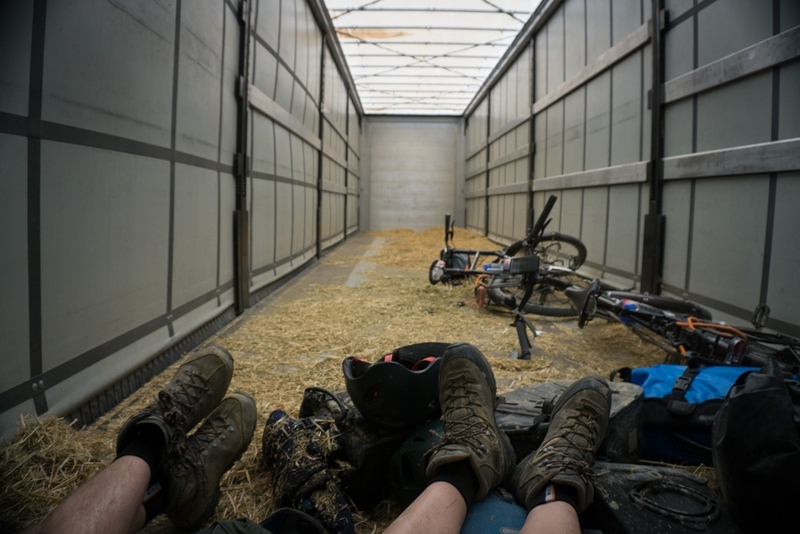 I watch with fear how our bicycles slide through the trailer.. 45 minutes later the back door opens and the truck driver wants to take a picture with us. He also calls a friend who speaks English, to ask if it’s ok if he drops us here. We have passed the landslide and from here it’s mainly descending. Perfect! 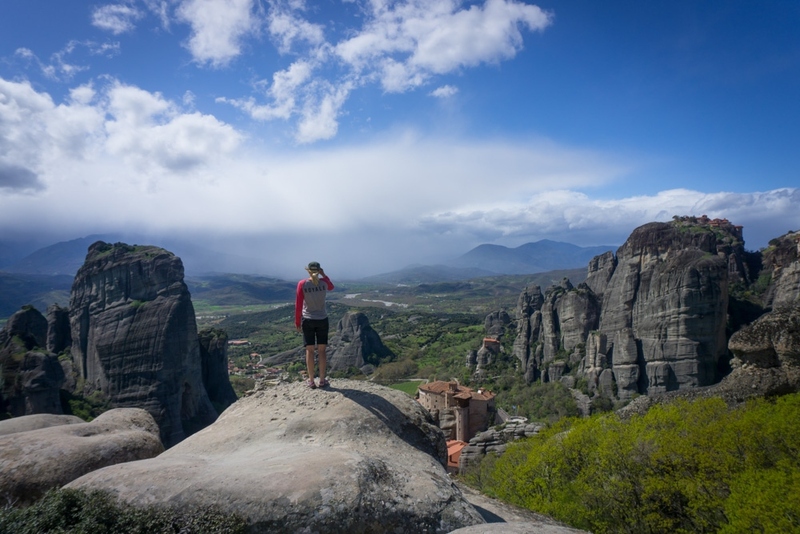 The next day we start descending and at the end of the afternoon we arrive in Meteora. 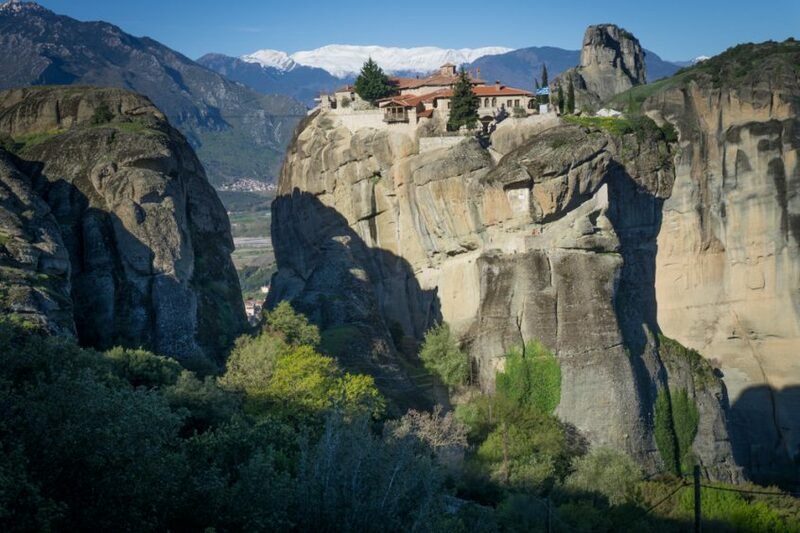 We cycle past the monasteries built on hilltops and beautiful viewpoints. 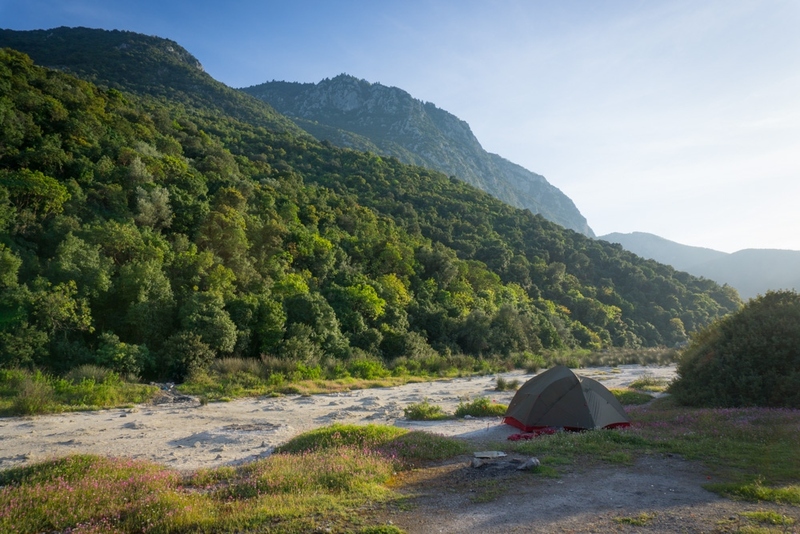 We decide to camp near a monastery so we can enjoy this beautiful area some more the next morning! The last days in Greece we cycle a lot to reach Athens. We are looking forward to a few ”rest” days. We booked a room for four nights. The joy of reaching Athens is unfortunately short-lived when we end up on a big eight-lane highway. Right on this highway my chain gets stuck and it starts to rain… Fortunately after two hours of cycling through the city we arrive safely. 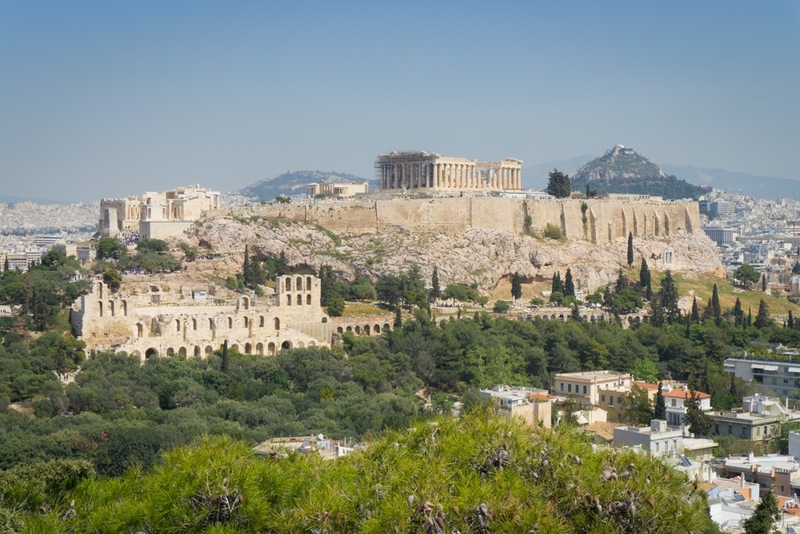 In Athens we apply for our visa for Uzbekistan, we arrange the ferry to Kos, do some sightseeing, write the blog about Albania and Greece and send some winter clothes back home. One more stop on the island of Kos and then we will cross into Asia!